I wonder sometimes if MARVEL has a time machine and goes into the future to see what will be going on in the world. In the past week we have seen the tragedy in Japan and now the U.N. is taking actions against Colonel Gadhafi in Libya. It would seem that Marvels Fear Itself event is timed perfectly for this, which is why the P.O.W. 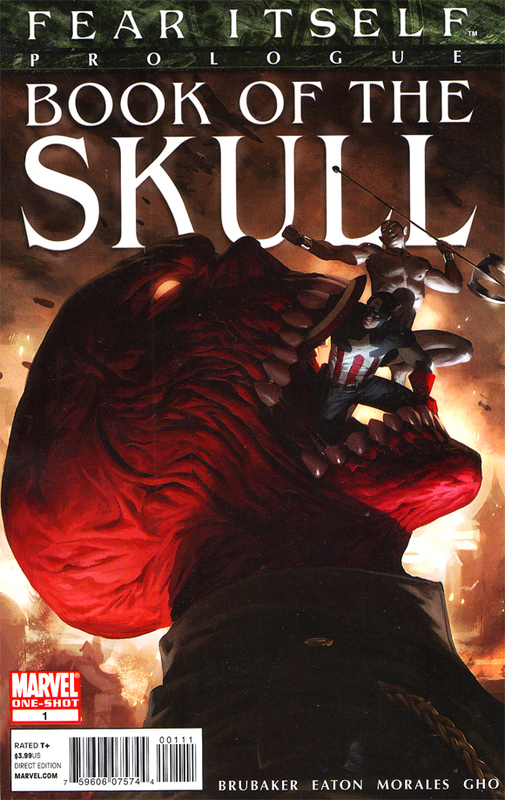 for March 16th is Fear Itself: Prologue Book of the Skull , One -Shot. It is a long title but a great book written by Ed Brubaker and drawn by Scot Eaton. After being terrified of world events, the guys discuss a few other books including The Amazing Spider-Man #656, The Invincible IRONMAN #502, Hulk #30.1, Uncanny X-Force #5.1, Avengers – Children’s Crusade – Young Avengers #1, Captain America and Crossbones #1, and, what was almost the pick this week Thunderbolts #155. In other words, LOTS of Marvel books this week and unfortunately, no Simon. We do, however , get Sheldon, Ken, & and Ian to take us through this week’s list and we even find out what it would take to get Ken to shave his beard off! No Lie! So stick around, comic fans, for more great podcast as Comic Impact brings you the Pick of The Week for March 16th, 2011.